Welcome back to final day preview of Winnie & Walter’s April/May new release. Here are my Day #1, Day #2 and Day #3 previewed projects. Today we are previewing Mini Scenery: Multifaceted stamp set, My Precious stamp set, Sparkle stamp set and True stamp set. And an awesome Cover Model: Multifacted Cutaway. For my card, I have used My Precious stamp set. 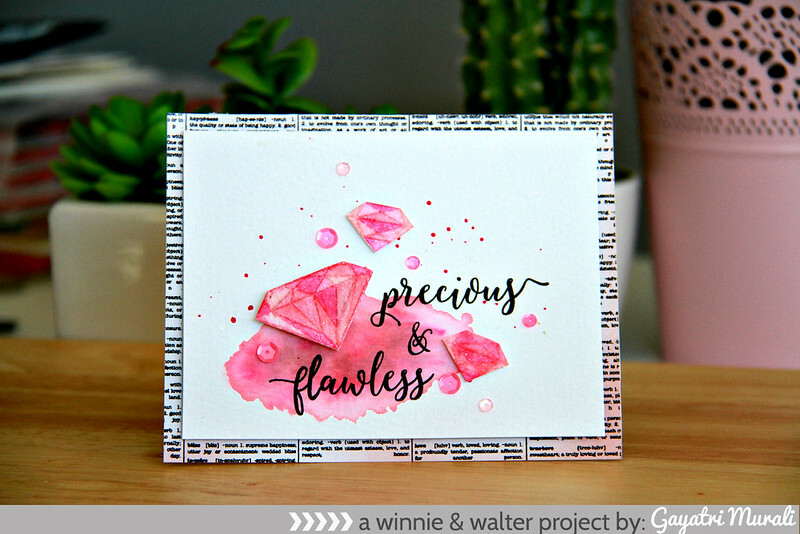 I did some watercolouring with distress inks on the diamond shaped images from the set. I stamped them using Spun Sugar distress ink and then watercoloured with Worn Lipstick, Picked Raspberry and Victorian Velvet. distress inks. Once dry I cut them out. On the watercolour cardstock, I smooshed and spattered layers of Worn Lipstick and Victorian Velvet distress inks. When dry I stamped the sentiment also from the same stamp set, then adhered the diamonds using foam adhesives. Finally accented with Pink Peonies sequins from Pretty Pink Posh. I love the sentiment and font of the sentiments in this set. There are a whole lot of diamond shapes in this set. Gorgeous! 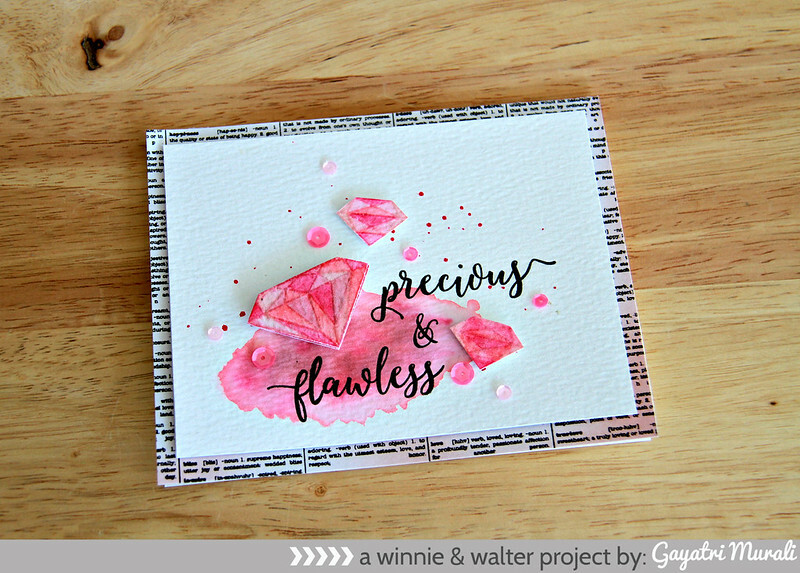 If you like to win the stamp sets and dies previewed today, head over to Winnie & Walter Blog for more details. All the new products will be available for purchase at the shop later today. Absolutely stunning, Gayatri! Love the colors, too.